Not long ago, eating cleaner meant cutting back on fried chicken, hash browns and doughnuts. And then came the air fryer in disguise of a blessing to all the foodies. 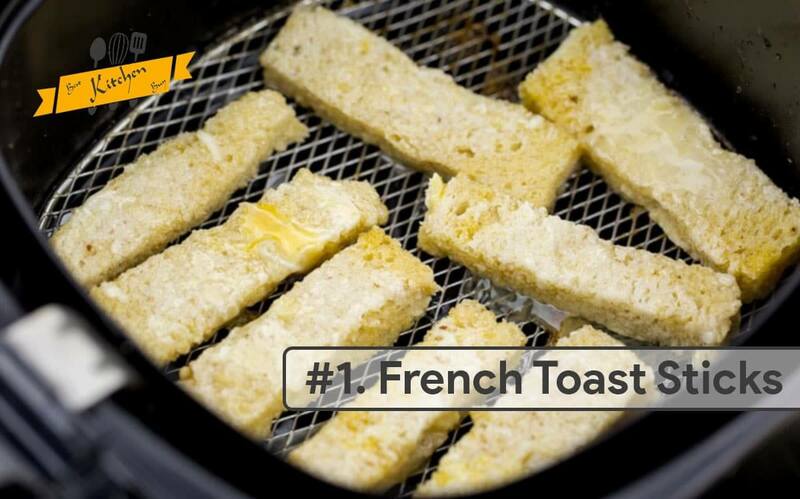 An air fryer is a miraculous kitchen gadget that every healthy cook should own. An air fryer works by circulating hot air up to 400 degrees around your food, transforming it into crispy perfection without all the oil and fats you would otherwise need. So, what can you make in an fryer? The possibilities are limitless. The more you decide to be creative, the more healthier variations of your favourite foods you can make. So, if you were waiting to eat those crispy deep fried delicacies without the guilt, we are here to make you feel better. 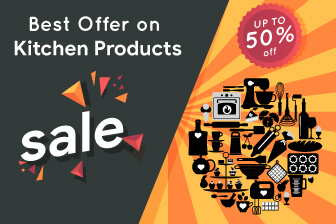 You can literally cut down more than 50% of the calories while preparing the traditional oily foods and still hit those taste buds just right at the spot. 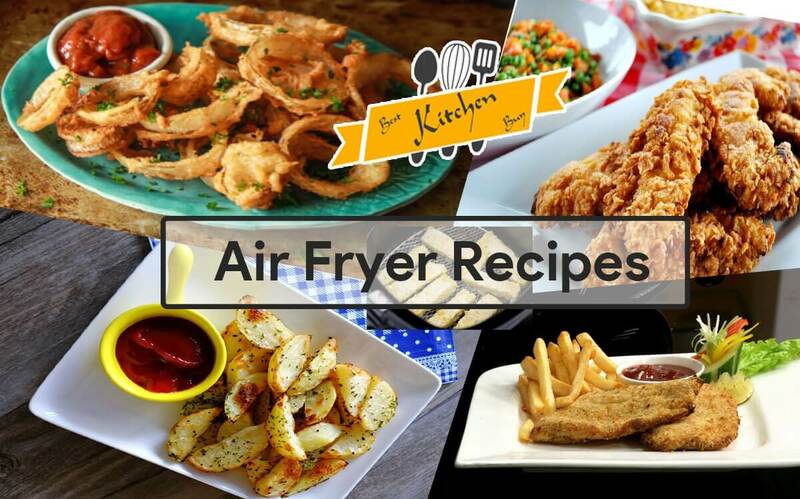 We below have compiled a small collection of food items that you can make in an air fryer out of the infinite options that you yourself can come up with. Ingredients: 4 Slices Whole wheat Bread, 2 Large Eggs, ¼ Cup full cream Milk, ¼ Cup Brown Sugar, 1 Tbsp Honey, 1 Tsp Cinnamon, Pinch Of Nutmeg, Pinch Of Icing Sugar. Chop up your slices of bread into 4 square pieces. Put the rest of your ingredients (apart from the icing sugar) into a mixing bowl and mix well. Dip each bread piece into the mixture so that it is well coated and then place it into the Air Fryer. Fry on 160°C for 10 minutes or until they are nice and crispy like toast and are no longer wet. Halfway through cooking turn them over so that both sides of the bread pieces have their share to be evenly cooked. Serve with a sprinkle of icing sugar and some fresh fruits of your choice. 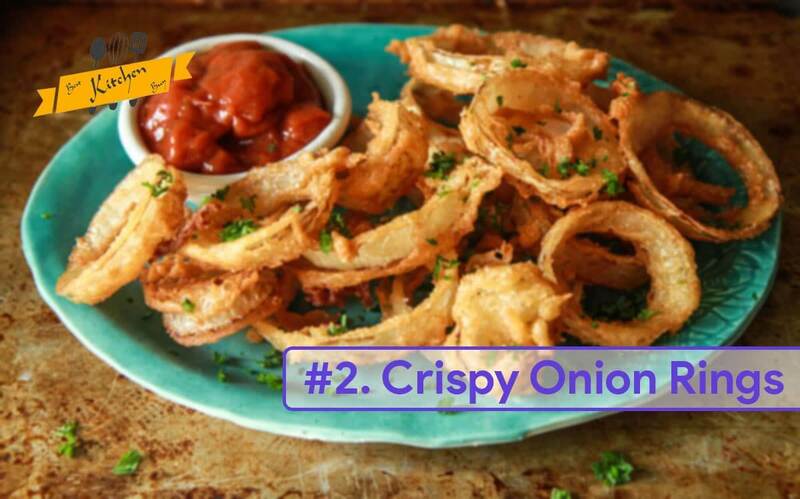 Ingredients: 3/4 cup all-purpose flour, 1/2 cup cornstarch, 2 teaspoons baking powder, 1 teaspoon salt, 1 large onion cut into rings, 1 cup milk, 1 egg, 1 cup bread crumbs, cooking spray, 2 pinches garlic powder, 2 pinches paprika. Stir flour, cornstarch, baking powder, and salt together in a small bowl. Dip onion rings into the flour mixture until coated; set aside. Whisk milk and egg into the flour mixture using a fork. Dip the floured rings into the batter to coat. Place on a wire mesh to drain until the batter stops dripping. Put bread crumbs in a shallow dish. Place rings one at a time into the crumbs and pour the crumbs over the rings to coat evenly. Give rings a gentle tap as you remove them from the crumbs; the coating should cling very well. Repeat with remaining rings. Heat an air fryer to 390°F~ (200°C). Place rings side by side in the frying basket. Spray lightly with cooking spray. Cook until rings are golden brown. Flip once halfway through. Drain on paper towels and sprinkle with garlic powder and paprika. Serve hot. Heat air fryer to 390°F~(200°C). 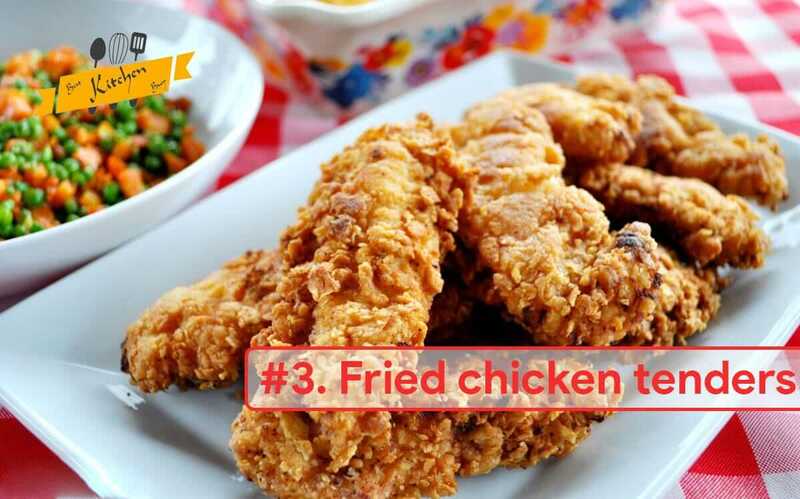 Brush chicken tenders lightly with olive oil on both sides. Stir together the dry ingredients in proportions according to your taste. Using tongs, dredge the chicken tenders in the mixture, flipping over and repeating multiple times until chicken tenders are completely coated. Shake off excess dry spices and bread crumbs and place in the air fryer right away. Cook in batches of 3-4 at a time, making sure the chicken tenders don’t touch each other. Cook for 3 minutes, flip, and 2 minutes on other side. Serve warm with hot sauce. 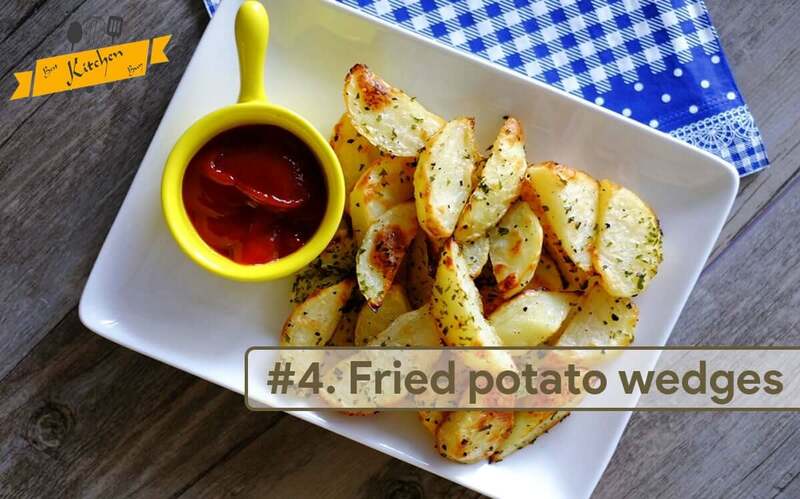 Ingredients: 250g potatoes cut into bite sized wedges, 1 tbsp coconut oil, garlic powder, salt and pepper, cayenne pepper. Bring a pot of water to boil. Add the potato wedges and cook for 5 minutes. Strain the water and remove the potato wedges in a bowl. Once, they have cooled down to room temperature, spray coconut oil and sprinkle salt, pepper and garlic powder. Set the air fryer to 390°F ~(200°C). Transfer the potato wedges into the basket while ensuring not to overcrowd and bake for 15 minutes. Add the fried potato wedges to the serving bowl and sprinkle some cayenne pepper. Serve with a hot cup of tea. 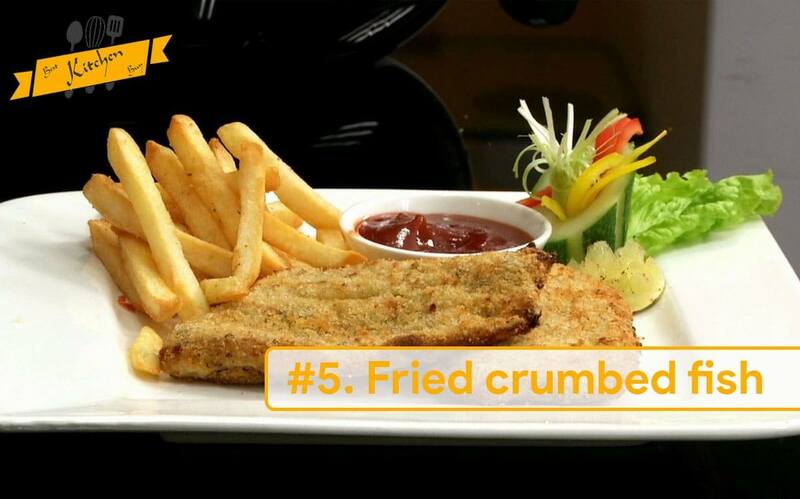 Ingredients: 1 tablespoon vegetable oil, 100g breadcrumbs, 1 egg, 4 fish fillets, 1 lemon. Preheat your air fryer to 180°C. Mix the oil and the breadcrumbs together. Keep stirring until the mixture becomes loose and crumbly. Dip the fish fillets into the egg then shake of any residual. Dip the fish fillets into the crumb mix making sure it is evenly and fully covered. Gently lay in the air fryer then cook for 12 minutes. (Time may vary depending on the thickness of the fish fillet). Serve hot with mint chutney. What is an Air Fryer? How it works? It’s Advantages & Disadvantages.